The Monegasque people are proud of their well-rounded ruler who is modern and open to new ideas. In 1976, he graduated with distinction from Lycee Albert I and enrolled in Amherst College in Massachusetts, where he studied economics, English literature, music and political science. After his graduation, his spent a year training onboard the French Navy helicopter-carrier “Jeanne d’Arc”. In 1988, he became a reserve Lieutenant Commander. From an early age, Albert was passionate about different kinds of sports: football, diving and martial arts. He is an Olympic athlete, having competed in bobsleigh in five Olympic Games and is now a member of the International Olympic Committee. His Serene Highness is a big fan of sailing sports as well. Albert II is Chairman of the Monaco Yacht Club, contributing to the development of yacht races. At the age of 24, Albert lost his mother, Princess Grace in a terrible car accident. 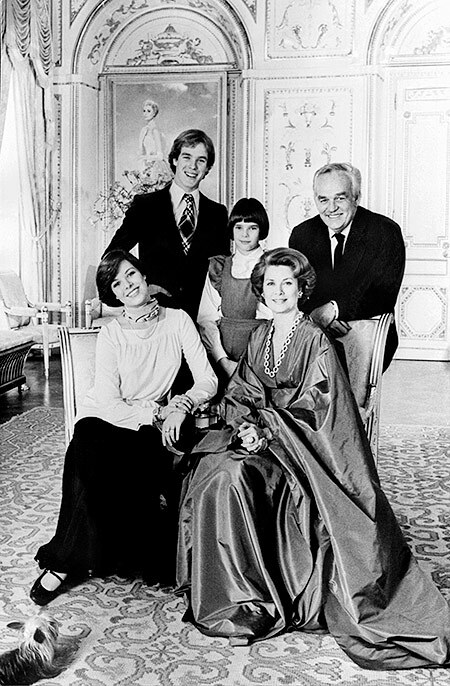 After her death, Albert became head of the Monaco Red Cross Foundation and deputy chairman of the Princess Grace foundation. The foundation aims to support young talented actors, singers and dancers during the beginning of their career. In 1991, he first headed the Monegasque delegation to the General Assembly of the United Nations. Since then, the Prince has regularly spoken on behalf of the Principality at these meetings. During the last days of his father’s life, Albert was appointed regent and took over most of Rainier’s duties. 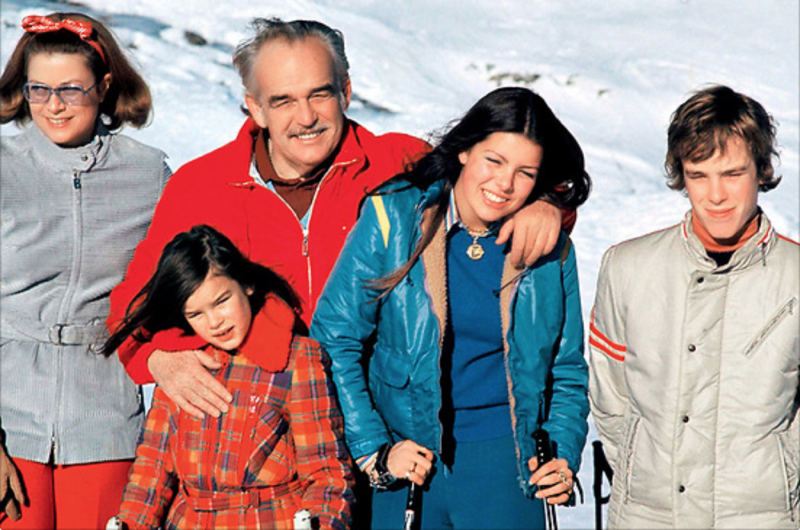 After his father’s death on 6 April 2005, Albert became the 14th Prince of Monaco. His official title comprises more than 20 titles claimed by the Grimaldi family. Albert holds a title of Count de Polignac and Marquis de Vaux, Duke Valentinois and many others. From the very beginning of his reign, Albert expanded international relations with many countries across the globe. He followed his father’s policy and developed tourism and real estate in order to increase Monaco’s attractiveness to foreign visitors and investors. In March 2013, Albert announced the construction of a new residential complex called Portier, which would extend Monaco’s surface by 6 hectares and provide another source of revenue for the Principality. His firm commitment to the protection of the environment earned him the title of “the Green Prince”. In April 2006, he led an expedition to the North Pole, in order to draw public attention to the problem of climate change, becoming the first head of state to visit the North Pole. In fact, Albert’s great-great grandfather, Albert I, was a passionate explorer and had tried to reach the North Pole, but his attempt was unsuccessful. In June 2006, Albert created the Prince Albert II of Monaco Foundation dedicated to protecting the environment. It supports the implementation of innovative and ethical solutions in three broad areas: climate change, water and biodiversity. November 2009 was marked by Albert’s trip to the South Pole in the company of a South African explorer Mike Horn. Albert is the only monarch and head of state to have visited both Poles of the Earth. That is surely something to be proud of. His state duties require a lot of travel around the world. Albert regularly visits England, including his visit to the wedding ceremony of Prince William and Kate Middleton. The Prince of Monaco also visited London and Sochi during the Olympic Games. In addition to his many activities, Albert II presides over the International Television Festival, the Monaco Economic Board, the Association des amis de l’Opera Monte-Carlo and other institutions. In 2007, Prince Albert II served as the International Patron of the “Year of the Dolphin”, declared by the United Nations. For many years, Albert’s private life was full of romances with the world’s most beautiful women. The Hereditary Prince took his time and enjoyed the life of a bachelor. During that time he was the number one target of the French press. The media desperately tried to guess who would be his next amour. Albert is rumored to have dated a Victoria’s Secret angel, Karen Mulder, who revealed their relationship on French television. The blue-blooded bachelor was also spotted in the company of Claudia Schiffer and Naomi Campbell. The latter was actually invited to Albert’s wedding with Charlene Wittstock on July 2011. Many gorgeous candidates failed in their attempts to win Albert’s heart for good, as he constantly replaced one romance with another. Finally, the monarch decided to settle down when he met a young swimmer Charlene Wittstock. The future princess allegedly tried to leave Monaco right before the wedding ceremony, after she found out about Albert’s love affairs and his two illegitimate children (from different women). Charlene and Albert first met in 2000 at the competition Mare Nostrum, held in Monaco. The Hereditary Prince was certain that he would conquer the swimmer’s heart right away. But Charlene turned out to be hard to crack; it took him seven years to walk her down the aisle. Besides, the 50-year-old monarch had to think about an heir. So in 2010, the royal engagement was announced and preparations began. 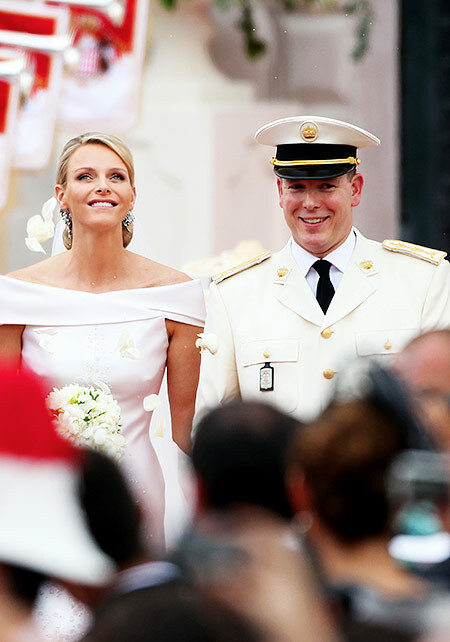 On 1 July 2011, the fabulous wedding ceremony took place in the main cathedral of Monaco. The 2-day celebrations turned out to be “the most impressive wedding of the last 55 years”. 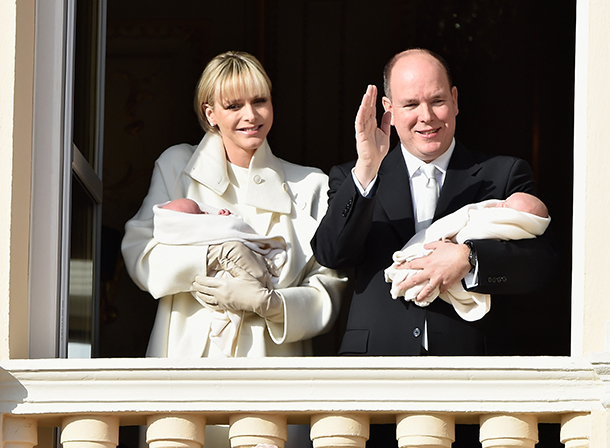 In December 2014, Charlene had two babies Jacques and Gabriella. Last year the Principality celebrated the 10th Anniversary of Albert’s reign. On this occasion, the Prince of Monaco confessed to the press that he did not expect such rapid growth of Monaco in all the aspects. “Our country is a peaceful and safe place with high living standards”, concluded the monarch.